It led to Honda writing to the FIA to clarify how that decision was made. This proved to be a crucial lesson in liaising with the rulemaker, because Honda's bid to catch engine benchmarks Mercedes and Ferrari will require treading fine lines. "It shows how important communication is," Honda motorsport boss Masashi Yamamoto told Autosport of the incident. "What happened there, is the current FIA [rules] is really complicated. "From Honda's point of view, we thought we were right, but from FIA's point of view they thought they were right. "We can't really say which is right, but it's just coming from that difference of understanding. "I think the way we had communication with FIA in Suzuka was not quite the right way. But now everything is clear. "We now have a major understanding together." 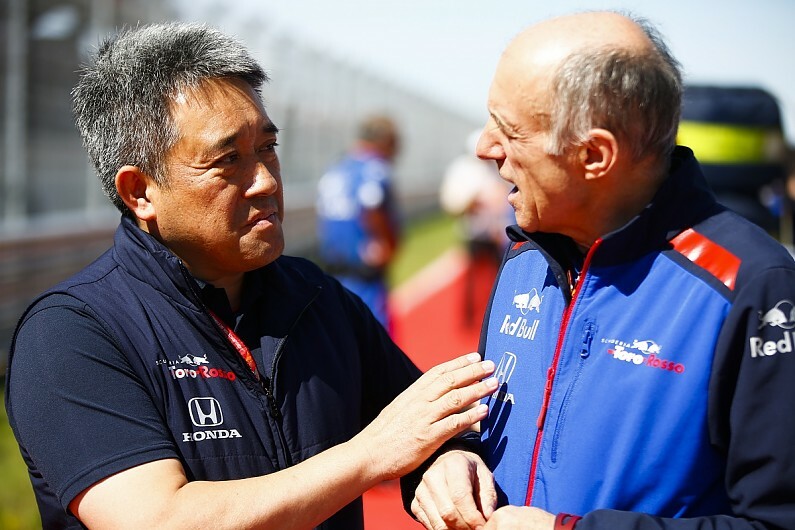 "This year we have basically been talking through Franz [Tost, Toro Rosso team principal, pictured above]," said Yamamoto. "Franz gave us some information about FIA, FIA resources, regulations as well. "We directly talk as well, but the team supports us in terms of key aspects of the regulations." "At least compared to the last three years, those kind of friendly, or mutual, communications between FIA or FOM is getting much better," he said. "A tendency of Japanese people, of personality, of nationality, is to be a bit hesitant to say something to everybody. "But this is motorsport, we have to win together. So in order to make that come true, we have to have more open communication. "We have to say what we think more. That's the important thing."